Gent's wallet in soft genuine leather. 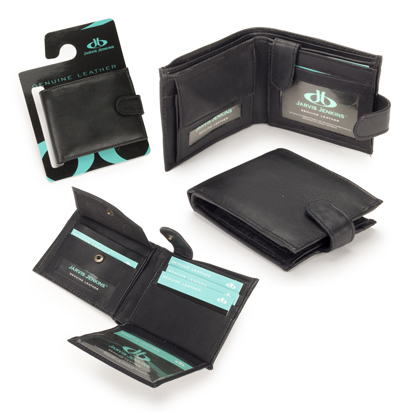 This multi-utility gents wallet is a must have. It has two note sections plus a full width zipped compartment for extra security. Upon opening the wallet there are two receipt pockets, a photo/identity pocket and a studded flap conceals two receipt pockets. A safety tab flip section has three credit card slots and a further photo/identity pocket. Supplied on card Euro hanger.